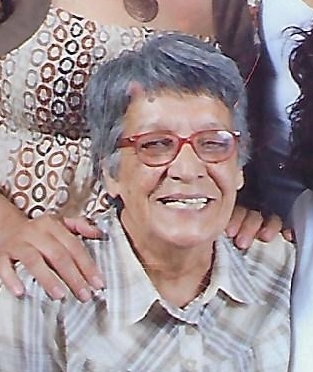 Noemi Rodriguez, "Cookie' passed away peacefully at Alameda Care Center on Saturday, March 23, 2019 with her family by her side. Noemi was born and raised in Guayama, Puerto Rico and later moved to Perth Amboy to raise her loving family. She was a beautician for over 42 years after retiring in 2007. She loved spending time with family and friends. Noemi is preceded in death by her adored son Hector Torres and her beloved parents Jose and Juanita (de Jesus) Yili. She is survived by her devoted daughters Lucy and Mercedes Rodriguez along with 5 cherished grandchildren and 8 loving great-grandchildren. Visitation will be held on Tuesday, March 26, 2019 from 3 ~ 5pm at Gustav J. Novak Funeral Home, 419 Barclay Street, Perth Amboy, with a Funeral Service on Tuesday at 4:30 pm. Interment will be private.